Those of you who visit my blogs regularly, will know I haven’t posted anything in a while. That’s because I have been trying to catch up with my backlog of reviews but also because I now have other things on my mind. 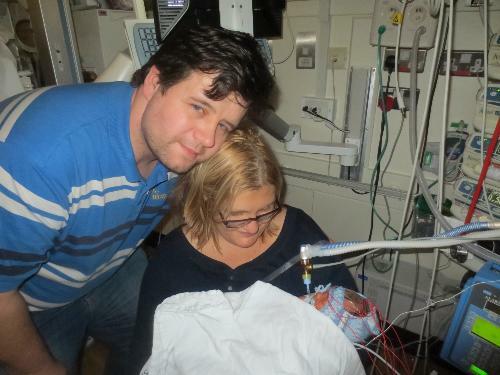 I am proud to announce that on 1st November my eldest son Robert and his amazing wife Alison gave me a priceless gift. A Grandson whom they named Alexander. 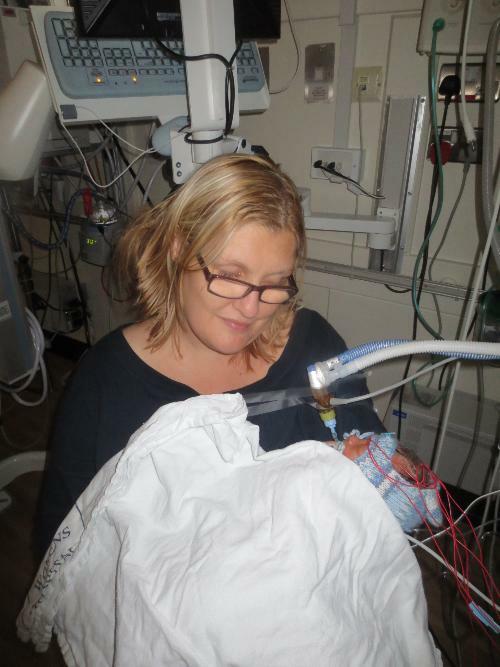 He is our little miracle, as three years ago his brave mum underwent a double transplant Pancreas & Kidney. Alison was diagnosed with Diabetes’s at 18 months old and has been through much more than a lot of people could bear. Despite this, she maintains a positive attitude and works tirelessly to raise awareness around transplant issues. Her gift of life was given to her by the parents of a young ten year old boy who had been in a road traffic accident. At that time, she was dangerously ill and in renal failure and we were afraid we would lose her. This little boy’s family put their own grief aside with their tremendous sacrifice to give life to another. Now we have all been given another gift of life, with the birth of our precious boy Alex. We all pray for miracles when times are tough but they are all around us, every day, if we have the eyes to see them. Life itself is one of the greatest miracles. Robbie and Alison journey so far, has been a true love story of dedication and unending love for each other. The day they married was a proud day for us all and now they embark on the greatest journey of all as their love has been completed with our darling Alex. They are now beginning their own family. Some people say we are born into the family that will make us grow the most spiritually. A family that will provide us with the tools we need to fulfil our life purpose. Sometimes, unfortunately it is a family that toughens us up or gives us more pain than we can bear. At other times, it is a family so filled with love that it crosses over to everything it touches and transforms it with its own amazing love. I see this in action every time I have contact with Alison’s family. They are loving and supportive of each other, compassionate, patient with a faith that can move mountains and has. What more could a Mother want for her children, to be surrounded by such love and faith. 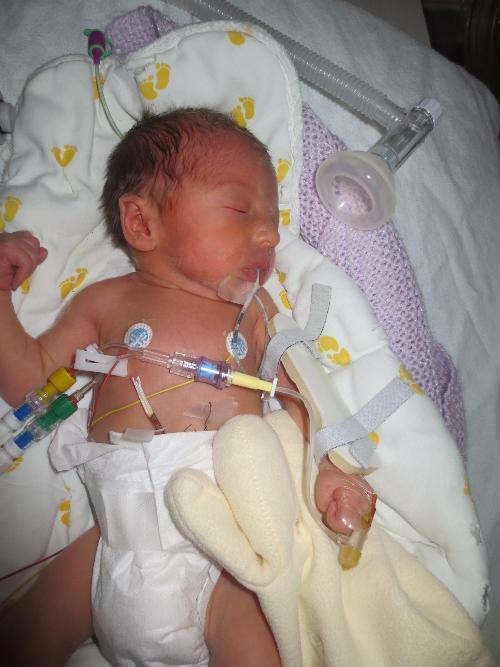 So our little Alex is here, he arrived a little early at six months old, three months premature. Weighing in at four pounds and half an ounce. He gave us all quite a scare but now has mstolen all our hearts. He has his mother’s fighting spirit and his father’s big feet. We are not quite sure if the nose belongs to his Dad or his Grandad, he has his Nana Jones’s serenity and maybe, just maybe he could be a chip off the old block of his Grandma. Why? well you are never going to believe this but he is blogging already. He is in the special care unit, getting stronger every day and has his own online baby dairy, how cool is that. 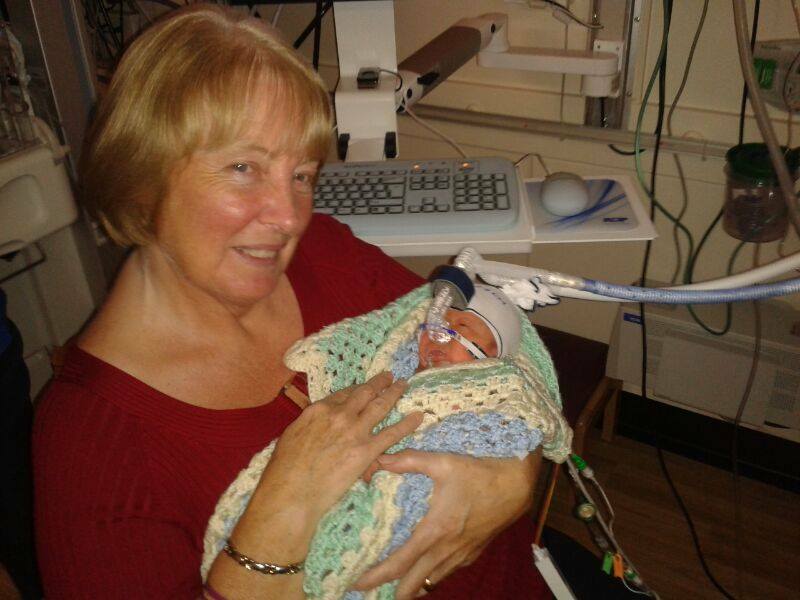 Yesterday he got a cuddle from his Nana Jones and he loved it. Unfortunately, I had to come home after starting with a heavy cold virus type infection. So at the moment that blog is my precious contact with my little sweetheart. Hopefully, with the help of some antibiotic’s and steroids I will see him soon. We have wrapped him up in a blanket of love, I talk and stroke his little pictures every day. I tell him I love him and how precious he is to all of us. Our dream has come true this year and life is good. If you are not already on the organ transplant list please join and help us creates miracles like this every day. If you are not already on the Organ Donation Register please take five short minutes to sign up today. and chapter two underneath here. Please take the time to leave me a comment good or bad as I really value your input. A proportion of the sales of this book will be donated to Seren a child abuse counselling service. Kevin was outside with his friend Steve, they were 10 years old and they already felt, they were grown up. They were street kids Kevin and Steven and they were used to amusing themselves. Quite often, they got into mischief but it was normally because they were bored rather than being outright naughty. They had enjoyed many a good chase after playing knock and run, but they weren’t daft enough to do it in their own street; as they didn’t want to risk the wrath of their fathers. They were loyal to each other and were best friends in fact, in their eyes they were blood brothers. Last summer they had cut themselves and put their thumbs together so their blood would mix, so it was official, in their eyes. Kevin and Steve were like chalk and cheese to look at, Kevin being blonde with blue eyes, tall and skinny; whilst Steve, had black curly hair with green eyes, and a short, plump stature; although, both boys possessed an impish sense of fun, wide grins and a twinkle in their eyes. Their mothers used to say to them, that the twinkle came from the Irish in them. They had become firm friends through their mothers, who worked together and they had a lots in common; the major thing being, they both had fathers they did not like. Kevin had confided in Steve about the beatings he often received from his father and the night time visits to Susan, his sister. Likewise, Steve had told Kevin how his father beat both him and his mother whenever the fancy took him, usually, when he couldn’t get money for the pub. They had both been called the man of the house by their mothers before their fathers returned from sea; so they felt it was their responsibility to look after the family. The two boys then talked about various money making schemes before deciding they would wash cars. They set planning what they would need and Kevin snuck into the flat, took a plastic bucket and some washing up liquid, from under the sink when his father wasn’t looking. Steve’s house was empty so he took 4 cloths, 2 for washing and 2 for polishing; that way they could do a car each and make more money. So the two friends set about their mission full of optimism and motivation and they worked hard all day washing and polishing and earned what was a small fortune to two 10 year old boys. They did such a good job that they earned tips on top, for all their hard work. When it started to get dark they packed up their stuff and ran home excitedly with their earnings. Kevin ran up the stairs three at a time he was so excited until, he heard the shouting as he reached the second landing. Instinctively, he froze as he listened to the shouting voice, he knew so well. He knew his mum wasn’t in because his father never spoke to Susan like that when she was around. As he entered the flat he saw Susan cowering in the corner in a pool of her own urine. “Sorry daddy sorry” she stammered, protecting her face with her hands. As the words left his mouth in a blind fury, he knew he would pay dearly for them. He was scared now but he didn’t show it, he wouldn’t give him the satisfaction. Kevin felt the searing pain as he was lifted in the air by his hair and the choking effects of his father’s hand around his throat as he was losing consciousness. As the dizziness took effect, the front door opened and he was dropped quickly to the floor with a thud. Their father hurried towards the door to the hallway, shutting the lounge door behind him to prevent their mother from seeing in. Kevin heard his father talking to her and knew he was trying to delay her entry into the lounge. When Mary their mother had finished talking to their dad Wally in the hall and finally entered the lounge; Kevin had wiped up the urine and put clean knickers on Susan and was watching the TV like nothing had happened. At the tender age of 10 years Kevin was protecting his sister and hiding the horrors of his and Susan’s life from their mother. This book has been a long time coming, it has taken me quite a few years to write. It has been picked up and put down, more times than I can remember. It is about a subject close to my heart, child abuse and it is told from a very different angle, than most books in this genre. It is gritty, raw and hard-hitting and there is some swearing with in the book, where the narrative calls for it. Here, is a brief synopsis of the book. This is Susan’s true story told anonymously, of her journey from despair to healing. Susan begins to experience a feeling that leads to childhood memories of sexual abuse in middle age. Memories she has no recollection of, that begin to haunt her in the present. She embarks on a journey of discovery, which challenges everything she thought about her life previously. There are times she thinks her dark night of the soul will destroy her and all her closest relationships. Once she has opened Pandora’s Box, it cannot be closed until she has come full circle. This book is a gripping, tense and sad narrative that you will not be able to put down, until you have finished it. A must read for those who dare to explore the grey and darker areas of life. 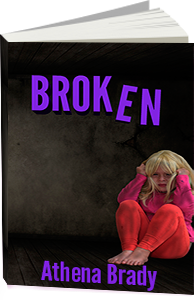 I wrote this book to highlight child abuse and the effects upon the people who endure it. A proportion of the royalties of the book will be going to “Seren” a child abuse charity that is vastly underfunded and provides much-needed counselling to survivors. Please take the time let me know your thoughts, good or bad by leaving a comment. It was a cold October morning, one of those days when people don’t feel like getting up. Susan’s bed was warm, comfy but she had to go to work. Reluctantly, she climbed out of bed, went into the bathroom and put on the shower. She dressed, ate breakfast and went out to defrost her car. She felt frail, shaky, vulnerable, and fragile, like she was at the start of a virus or cold. Normally she enjoyed her drive to work and it reminded her how lucky she was, to live in the countryside. She lived in a very beautiful and picturesque part of Wales, near Aberaeron with its sweeping landscape, that leads majestically to the sea. She particularly loved the view just at the top of the hill, as she was coming out of the small village of Llanon. On a clear day she could see for miles and Susan often took her packed lunch to this spot, to relax and drink in the scenery. Today however, she was unable to appreciate its beauty. As a heavy sense of foreboding was hanging over her, like clouds, on a once perfect horizon. She felt vulnerable and she had no idea why and it scared her. Susan arrived at work twenty minutes later, got out of the car and approached the entrance. Struggling to remember the code to gain admission, her colleague arrived behind her and punched the number in. Susan’s hands were shaking and she felt trembling inside, which caused her to drop the things she was carrying. She made a joke with her colleague. The fifteenth of October two thousand and seven was a day that Susan would never forget; it would be etched in her mind forever. As it was the day, the feeling came. It arrived out of nowhere, without any rhyme reason or warning. Suddenly, making Susan feel self-conscious, not good enough, inferior, thinking all eyes were upon her; watching her, waiting for her to fail, but fail at what? None of it made the slightest bit of sense but that was how she felt. Suddenly, Susan looked round the familiar office she had worked in for the past three years and saw it through different eyes. She saw contempt in the eyes of her colleagues and wondered why, suddenly, no one liked her. She knew her thoughts were bizarre, to say the least; every look, every sentence only went to confirm these thoughts in her mind. Susan’s day dragged relentlessly on, as Susan frantically watched the clock willing it to be five pm. To Susan, that this one work day had felt like two. She was finding it harder and harder to hold back the tears, threatening to fall. Trembling and she feeling she couldn’t hold on much longer, before the floodgates of her emotions consumed her. Often when we desperately want to go somewhere, everything seems to conspire against us? The phone rings, or someone asks you a question on your way out; and the short walk to the door a few yards away, can seem like a mile. Sometimes a feeling or event that comes out of nowhere, can be the trigger to a catalyst of events that become life changing. This was how it was with Susan, who woke on this day a much different person, than the one she has gone to sleep as yesterday. It felt she was coming down with a virus or a cold. Normally, when we feel like, there is a significant event like a sore throat or a fever but Susan it was simply, a feeling. Similar to, the beginnings of a depression, Susan lost her usual confidence and happy go lucky nature. Yet, no significant event had taken place that had upset her. The feeling just came and it stayed there. As though it was waiting silently, for her to acknowledge its presence. When she did, it escalated intensely until she had no sense of self-worth left at all. Just an overwhelming all-consuming, sense of deep sadness within, that refused to leave her. Imagine if you can, if you felt you had no one in the world that cared about you. No one you could take into your confidence, how alone, would you feel? How hopeless, how lost? If you were unable share your distress with anyone, because, you did not trust the people around you, who you had trusted the day before. Susan had no clue, why suddenly she didn’t trust anyone, or even her own instincts and her world, suddenly, became a very scary place. Shewas beginning to experience the terror within herself. Where did it come from? And how could she make it go away? Thoughts unexpressed, or not rationalised with others, become more powerful and can quickly grow out of all proportion; but sometimes they are necessary evil in the journey to self-awareness and recovery. The length of our journey through life depends upon our own commitment, to its completion. We either walk into the darkness and terror willingly, with bravery, hope and as much faith as we can muster; or can be dragged into it with no control. Susan was being taken somewhere, against her will, by something inside of herself. Years later, Susan realised it was the hidden part of her, that guided her through the terror and darkness within her. That her higher-self had kicked in, because of her extreme distress. Not unlike, when a distraught mother lifts the car from her trapped child without even thinking about it. As it’s a reflex reaction to save her child. She just reaches within herself and finds the strength. Looking back years after the day that everything changed, Susan knew without doubt, that there are parts of ourselves we have little knowledge of unless we have urgent need of them; and that they hide even from us, until we have no other choice but to call upon them. Susan followed the feeling she experienced that day and it led her, to the events connected to it. She supposed now, as she looked back years after the event of that day; that this was how the soul and brain worked together collectively. To store our memories, until we are ready to look at them in the light of reality and see them through the eyes of truth. She was more aware after her journey, of the fragile tapestry of fantasy that we all weave. To protect ourselves from the things that may destroy us, if we dare to acknowledge them. She sifted through the evidence, taking nothing for granted, assessing all the key characters in the play that was, her life. She looked at the facts with fresh eyes; untainted by what she previously thought, or was told, had happened; and when this examination was spent, she realised that most of her life had been a carefully constructed story that had no resemblance, to what she had, believed it to be. The experts will tell us, that a breakdown is when everything we believe in is challenged. Which then leads onto us struggling to know who we are anymore? This was how Susan felt when the feeling appeared out of the blue and she decided then, that she had two choices. Either to fall aimlessly into an abyss of depression and mourning for the person she felt she thought she was before the feeling arrived; or reinvent herself; as she would like to be and step into her future with fresh eyes and a bold spirit. Susan’s journey, took her deep inside the darkest parts of her mind, where many people never travel to. There were times, she felt that she would never recover from the horrors she discovered there. Susan’s dark night of the soul nearly destroyed her. As Susan made the connection that the feeling, she first experienced, was the first clue, she began to move forward. That clue led her to another clue and another, until eventually she completed the jigsaw and at last, the process of healing could finally begin. What follows is Susan’s story, of despair, loneliness and depression, which led her towards acceptance and a place where finally, the healing could begin. Well that is it for this week, over the next couple of weeks I will be posting chapters two and three. Please take the time to leave a comment good or bad as without readers, a writer is nothing. This month’s challenge for Bloggers for Peace 2013 is to write a letter of peace and send it out to the universe. I am a little late posting but here goes. Thank you for bringing so many wonderful friends my way. Thank for guiding and nudging me in directions I sometimes didn’t want to go. I look at the violence all around us and it makes me want to weep and sometimes I do. I look at children being abused and people treating each other like dirt. Sometimes I think the bullies are winning and I feel defeated, like nothing I do will make a difference. Then you send me something wonderful and inspiring like our Bloggers for Peace community and I know we will win if we don’t give up. Help me to fight and conquer my fears every day and teach others how to do it. 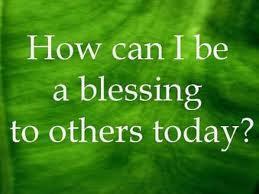 Help me to inspire and uplift those people who are downtrodden and despairing. Let us take each other’s hands and lead one another out of the desert. Let us recognise that we are all connected no matter what religion, gender, etc we are. Let us be mindful of what we say and do and fight like peaceful warriors. Unveil the hidden so the light may expose it and release people from the prisons of their minds and actions. So we may start again and make a new world where everyone is equal and our only life purpose is to love and be loved. Hello everyone, I have not posted anything for a while now and for that I apologise. Unfortunately I have been unwell but I am feeling better now. Although I still have up and down days. It takes a lot to keep me way from my passion writing. 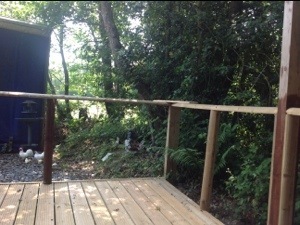 The good weather has been a godsend and had me out on the deck of our log cabin. I have been growing strawberries and tomatoes and am starting my own herb garden. I find it amazing that nature has the power to heal us where conventional medicine fails. It is surely one of the wonders of the universe. My husband extended the deck this year and attached a bird table for me on one of the rails. I have a special area for my mum who died in 1991 of cancer. I have ornamental angels and other decorative things in this area. Recently I have had a family of squirrels come to visit me, they are so cute. There are three of them a large one which I think is the dad and a middle sized one. Which I have presumed is the mother and a baby one. I wake up every morning to the birds singing, we live in the countryside. so many birds come to visit Larks, Swallows, Woodpeckers, Mr & Mrs Woodpecker as I call them and their baby. They are the first thing I see of a morning as my window looks out on the side deck.Every morning I take my coffee on the deck and they appear or are already there waiting. Sometimes it really is like a Disney movie with all the birds moving too and fro. I am so blessed to live here and be able to follow my dream and write my books. I was surprised to see 100 followers on this site, especially as I had not written anything for a while. Thank you so much for your continued loyalty it means so much. I am catching up on my book reviews and hope to start up again with my “Giving Something Back Posts” this Saturday. For any new readers, this is where I give a shout out for all those great bloggers out there. I share links to their blogs and tell people a little about them. trying to get my followers to go over to this site. I only have 50 followers there so could do with some more. So if you can go there rather than here, I would be really grateful. However for people who still come here, I will continue to post. Thank you so much for reading my blog and taking time out of your busy schedule to visit/comment. How do you de stress, what are you grateful for in your life ? I have some great blogs for you all this week. First we take a journey to a farm. Then we visit a blog about young women and how they view themselves. Our third blog takes us to a lovely island were innocence and pure hearts still reside. Finally, we finish off with a hunt for a ghost, have fun. Visit the farmlet and read about a typical day you will be glad you visited this amazing blog. Fancy a view of Island life? This blog will enchant you with its simpleness. Have you ever fancied going on a ghost hunt? This is the blog for you then. Now we come to our regular shout out for Bloggers for Peace 2013. This week I would like to share with you this interesting post. That concludes Giving Something Back 17. I hope you have enjoyed your journey this week, please come back and tell me what you liked. Until next week, take care. Wow do I have a treat for you this week. I went to visit a writer friend of mine and I found a real pearl on her blog. A doctor who wanted to experience childbirth to put an end to the question “could man experience the pain of childbirth?” The resulting video is a must see.